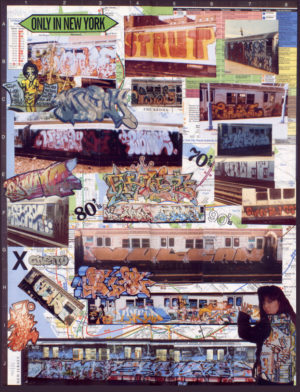 Among the underground publications of the 1970s and 80s IGTimes has the distinction of being the first periodical devoted to New York street and subway art. 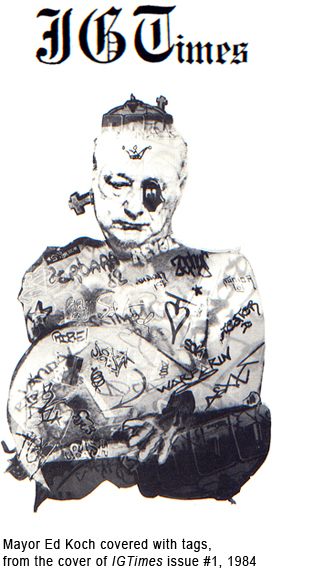 The front cover of IGT’s first issue captured the zine’s rebellious spirit with an image of a bloated Mayor Ed Koch, the sworn enemy of “graffiti,” covered with “tags.” Inside was news about Michael Stewart, an artist killed by police, and interviews with Sak and Rize, two young teenage “writers,” actively “burning” trains. 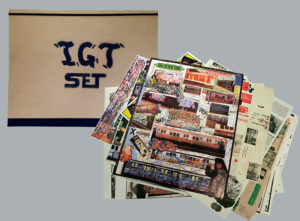 During its decade-long run from 1984 to 1994 everything about IGTimes was in constant flux — most prominently its name, officially IGTimes, but with different issues variously titled International Graffiti Times, Subway Sun, InterGalactic Times, GetHip International Times, Tight, and IGT. IGTimes was founded by David Schmidlapp, an artist/photographer who produced photomontages of street fashion for the style section of the Soho Weekly News. Like other downtown boosters of subway art, filmmaker Charlie Ahearn, gallerist Patti Astor, photographers Henry Chalfant and Martha Cooper, Schmidlapp came from outside the urban art community but became part of it by forging close relationships with the artists. 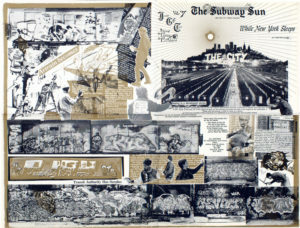 As the first and only publication covering subway art, IGTimes was instantly a magnet for the writers who set its tone and provided its content. Of special importance was the legendary Phase 2 whom Schmidlapp met when he was interviewed for the second issue of IGT. 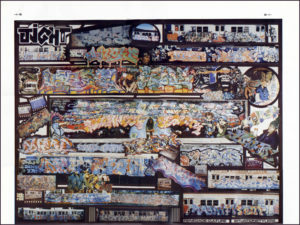 In the early 1970s Phase 2 was one of the creative forces behind the ever-changing styles of aerosol calligraphy and as a member of the group UGA (1972) he was among the first writers to begin shifting from subway car to canvas. He was also one of the first to make flyers promoting Hip-hop parties in the Bronx. His crisp geometric style inspired by the borough’s art deco theaters set the tone for later Hip-hop poster artists like Buddy Esquire. In 1986 Phase 2 brought his historical perspective and distinctive visual touch to IGTimes when he served as the publication’s art director from issue 8 (1986) to its final issue 15 (1994). 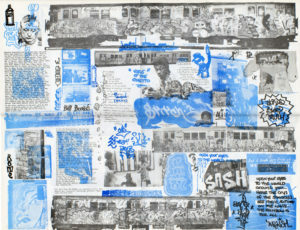 In 2011 the IGTimes archive was acquired by Cornell University Library’s renown Hip Hop Collection. In the late 1990s Schmidlapp set aside 100 complete sets of IGTimes and numbered and placed each set in a portfolio. Gallery 98 is now offering the few sets still available. We are also selling individually selected IGT pages chosen because they were designed as flat posters and are particularly suitable for framing.